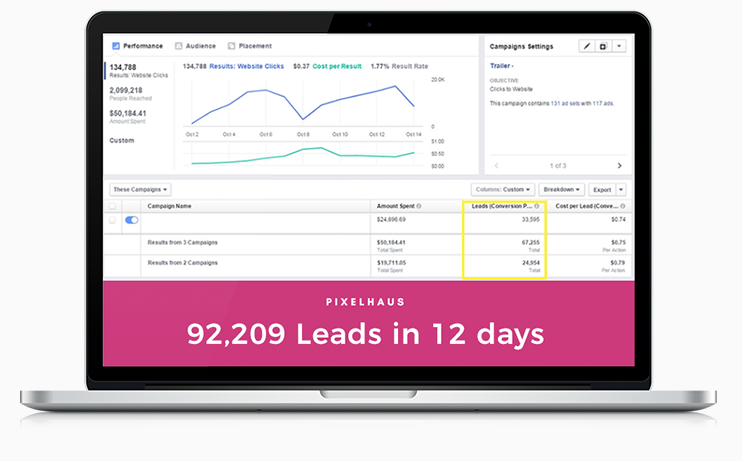 PPR Media reached out to PixelHaus with the goal of adding Facebook to their acquisition channels. After a careful audit, we identified the potential in leveraging their existing native and search campaigns to build effective targeting audiences. By implementing audience pixels, tailoring targeting audiences and applying a meticulous manual bidding technique, campaigns were setup for success. By creating smart campaigns from the get-go, we quickly scaled their UK Life Insurance efforts to thousands of leads per day at 180% ROAS.